Someone once said that it is easier to imagine the end of the world than to imagine the end of capitalism. Michael Albert would disagree. 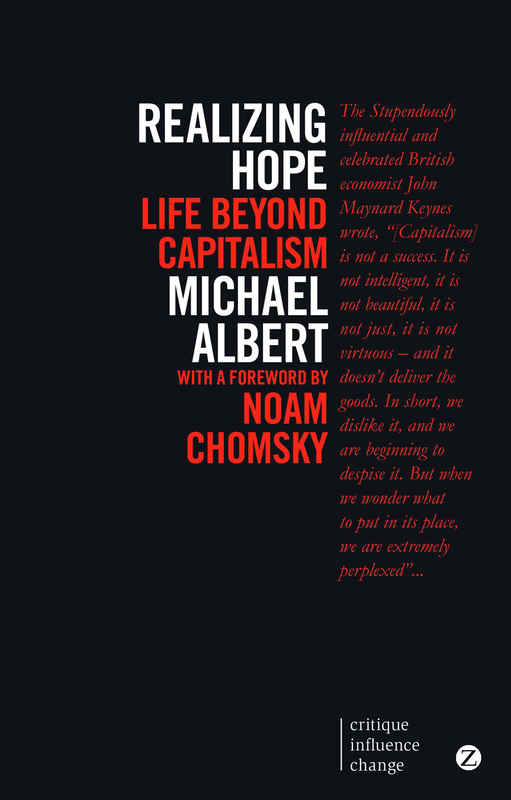 Realizing Hope offers a speculative vision of a future beyond capitalism - an alternative to the exploitation of human labour, the unchecked destruction of the earth, and the oppression of all for the benefit of the few. Participatory economics - parecon for short - is Albert’s concrete proposal for a classless economy, developed from anarchist principles first introduced by Kropotkin, Bakunin, Pannekoek and others. In this classic text, Albert takes the insights and hopes of parecon and enlarges them to address all key aspects of social life and society - gender, culture, politics, science, technology, journalism, ecology, and others. Realizing Hope provides vision to help us all together conceive a world that might be just over the horizon, a world we can begin building today.